Thank You very much for setting up another great trip to Ireland. Everyone in our group had a terrific time. The golf courses were great and our hotel accommodations were outstanding. As in our previous trip, the people we met in Ireland were very friendly and helpful. Our bus driver was great. Got us where we needed to be on time every day. He also went above and beyond the call of duty to recommend restaurants and sites we should see on our trip. Working with Swing Golf makes the trip easy. Everything works well without much effort on our part. I have and will continue to give your name to anyone who is planning a trip To Ireland. On behalf of everyone in our group thanks again for all your help. 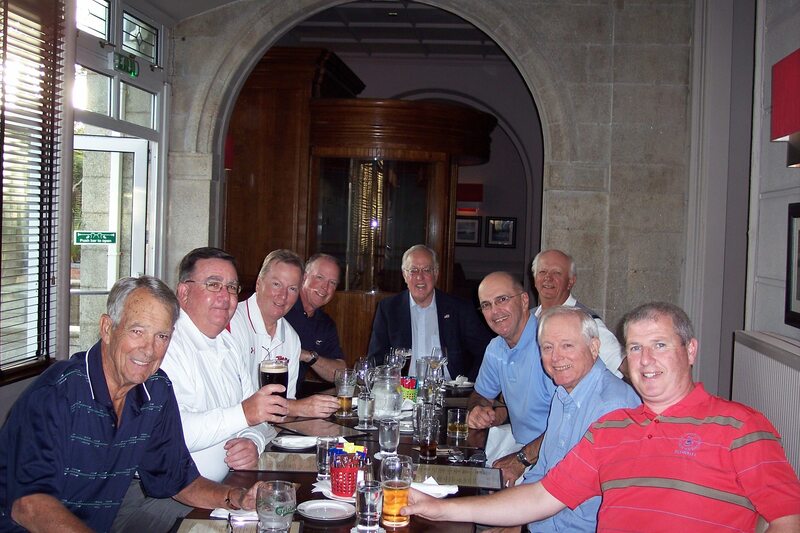 We look forward to a return trip to Ireland soon.